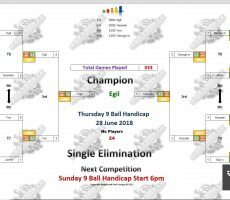 THURSDAY 9 BALL – 28th JUNE : EGIL WINS. 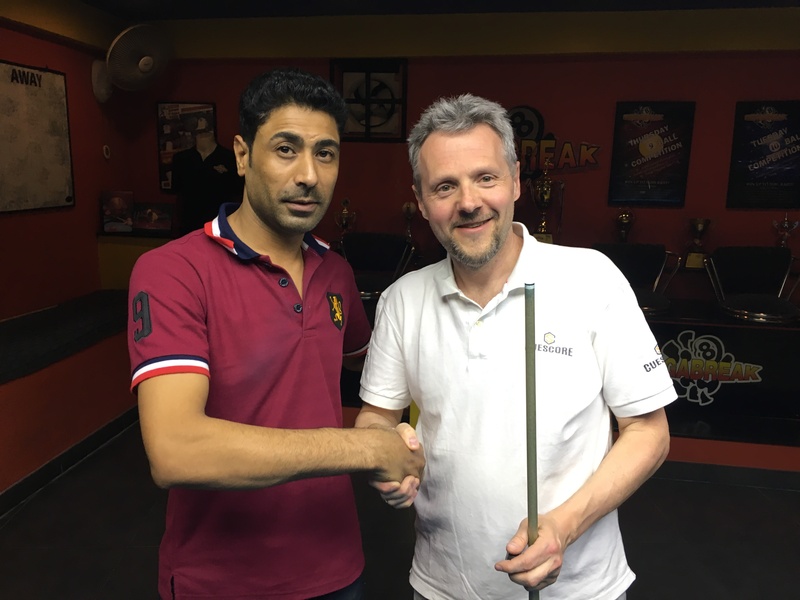 Thursday’s 9 Ball Competition saw victory for a new player from Norway, Egil Arne Sørensen. 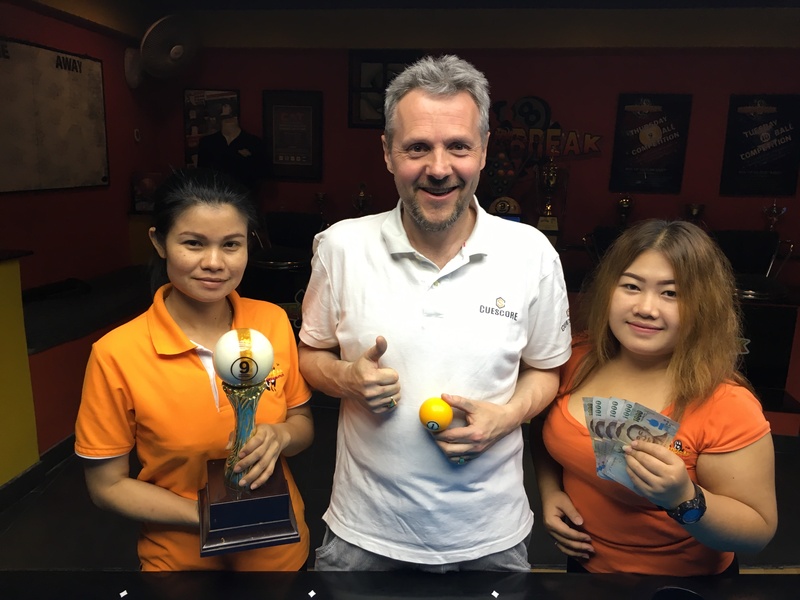 Egil, a pool hall owner from Oslo, played some great pool to go undefeated all night long through five matches to lift the trophy and pocket the 1st Prize of 5000 baht. 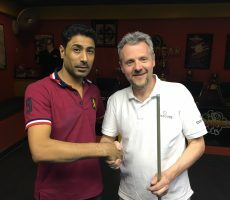 From a total entry of 24 players, he beat Hassain Qattan from Bahrain in the final by 8 racks to 1 (race 8-4), and his handicap moves up from A+10 to A+12 as a result. 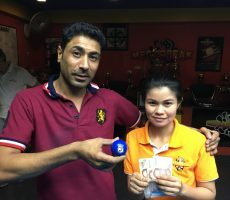 Hassain continued his recent run of good form to reach the final for the second consecutive week, but again had to settle for 2nd Place and 3000 baht. His handicap is increased by one rack to A+7. 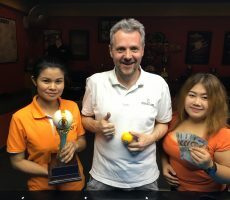 The other money winners on the evening were George “Cakes” Merrington from England and Fon from Thailand, who each took home 1250 baht for reaching the semi-finals. 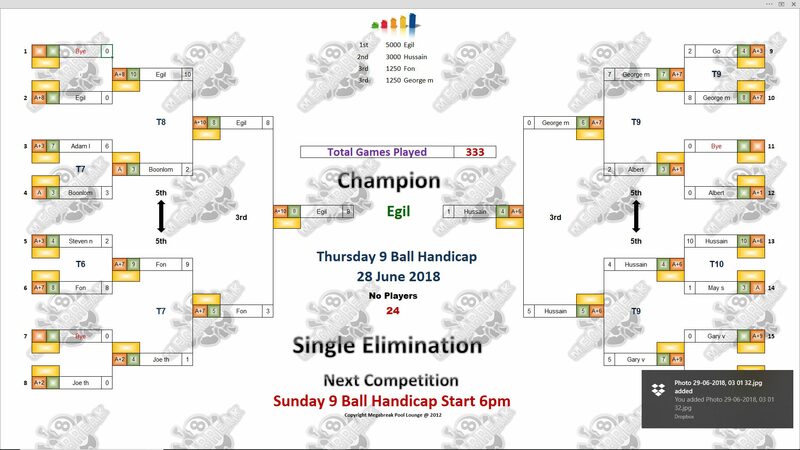 Champion : Egil (A+10) – 5000 baht. 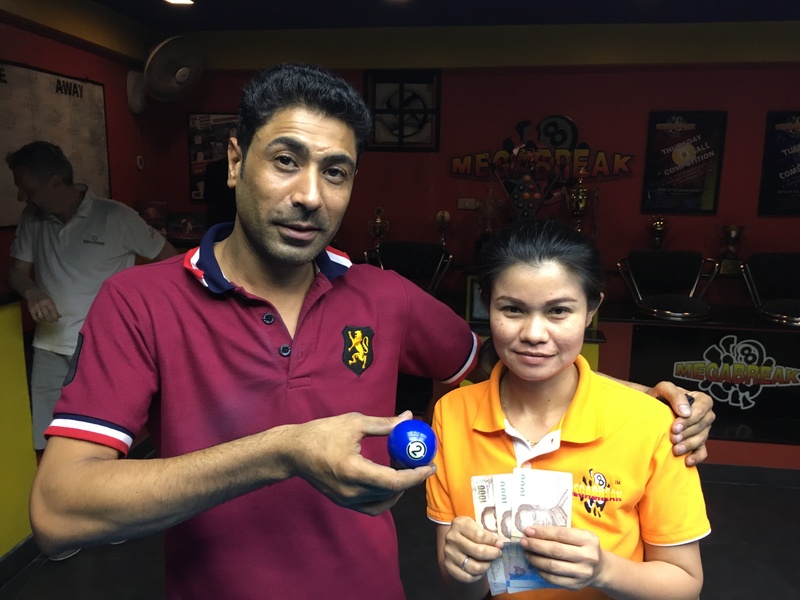 Runner-Up : Hassain (A+6) – 3000 baht. 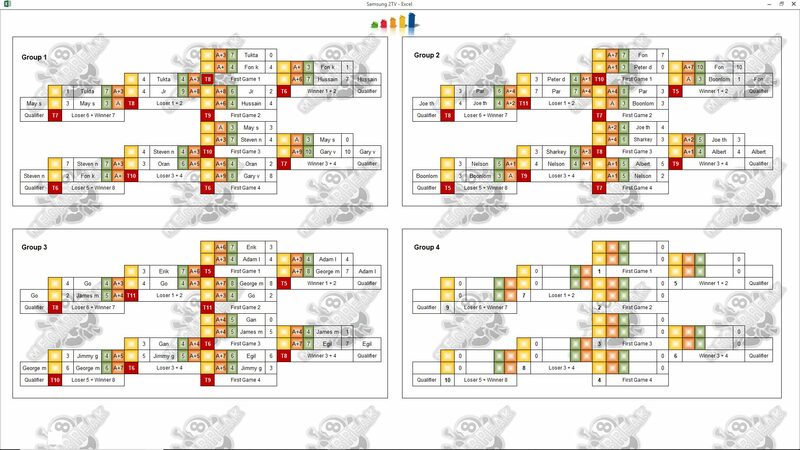 Semi-finals : George (A+7) and Fon (A+7) – 1250 baht each.